The Intern ational Space Station Rapid Scatterometer (ISS-RapidScat) mission was launched on 20 September 2014 from the Cape Canaveral Air Force Station in Florida with the primary goal of measuring ocean surface wind vectors, calibrated to a 10 meter reference height, as a continuation of the QuikSCAT climate data record, and as a demonstration of the ability to cost-effectively re-use existing hardware, originally designed and manufactured for test purposes, as an operational space flight Earth remote sensing mission in support of fundamental scientific research of Earth's weather, oceans, and coupled climate system. After successfully being mounted and properly calibrated on the ISS, the RapidScat instrument began providing its first set of calibrated, science-quality measurements on 3 October 2014. As a bi-product of the low inclination orbit of ISS, RapidScat is in a unique position to provide measurements that are asynchronous with respect to the solar day cycle of the Earths; this translates to RapidScat having the unique capability (in contrast to all other past and present space-borne scatterometers) of observing diurnal and semi-diurnal variability over seasonal time scales. The ISS-RapidScat mission is particularly blessed to have contemporaneous measurements from QuikSCAT (albeit limited due to QuikSCAT's fixed antenna position) as a way to ensure consistently calibrated measurements to ensure accurate observation and continued study of the coupled Earth climate system. The PO.DAAC functions as the primary archive and distribution center for the RapidScat data produced directly by the ISS-RapidScat Science Data Systems (SDS) team at JPL. On 19 August 2016, the ISS Columbus module experienced a power loss, which thereby resulted in a total, unrecoverable power loss to the RapidScat instrument. The final data end date and time point just prior to the instrument power failure is 19 August 2016 at 15:01:24 UTC, which corresponds to orbital revolution number 10827. 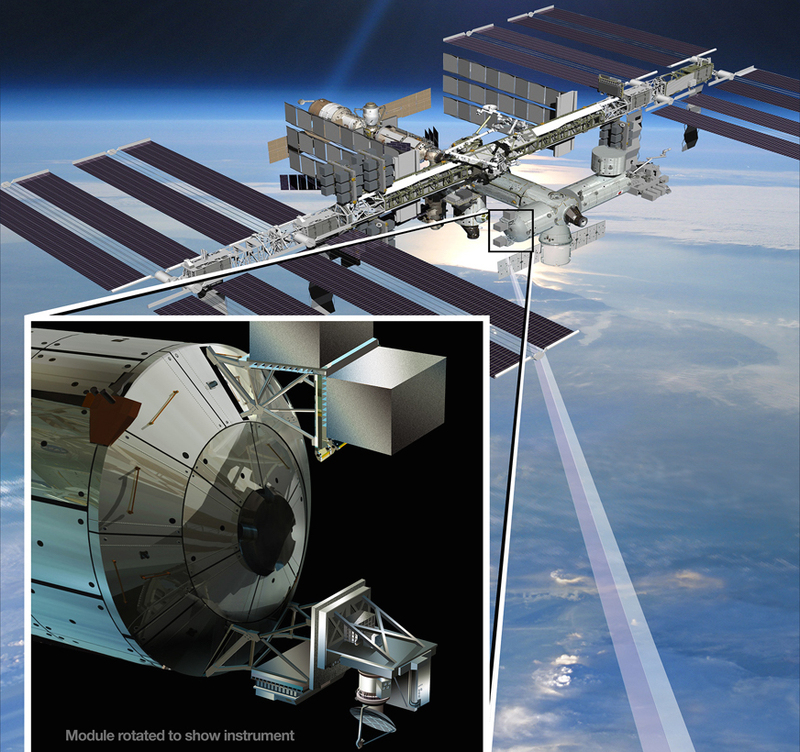 Decommissioning of ISS-RapidScat began in December 2016 and continued through September 2018. Through this decommissioning phase, the ISS-RapidScat SDS team continued to provide higher quality, reprocessed versions of RapidScat science datasets. As of 27 September 2018, the ISS-RapidScat mission had completed it's Phase-F decommissiong. RapidScat – A Ku-band (13.4 GHz) dual pencil beam scatterometer (more information provided in the table below). Its primary purpose is to provide all-weather ocean surface wind vector measurements over the ice-free global oceans. Related publications may also be found here.